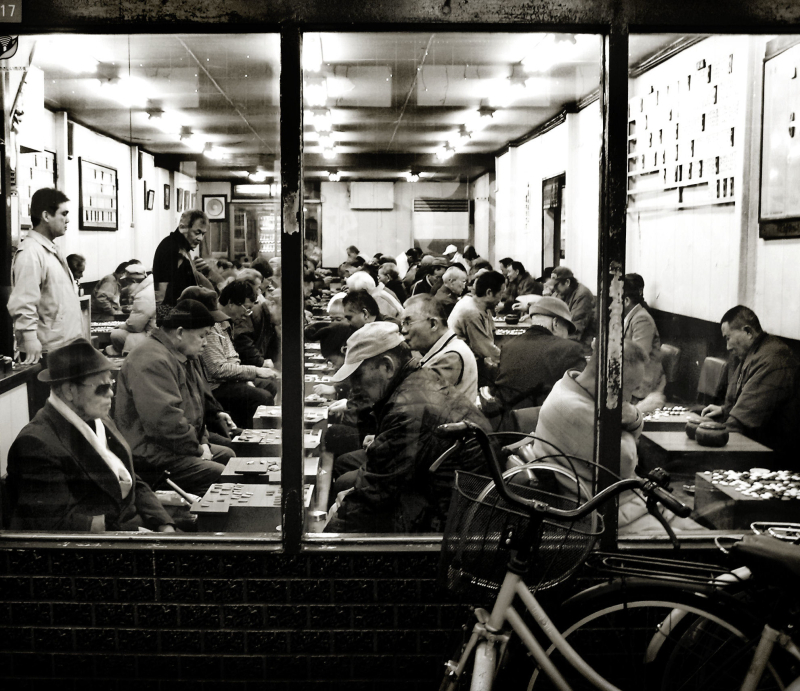 Daryl Johnson (Worcester Park, United Kingdom) on 11 February 2009 in Documentary & Street and Portfolio. Playing the games igo and shogi (so I've been told by a reliable source... I honestly have no idea!). i really love this photo - well done. It seems so crowded and the face and interactions are so interesting. Good sense of inside outside with the bike resting against the window. this is so captivating with all the expressions and I like the bike outside waiting for it's owner and his big win! very nice. Exellente photo!!!! Superbe cadrage avec la bicyclette en premier plan et les joueurs à l'intérieur! Très beau N&B! J'adore cette scène! Is that how the Japanese retirees spend their time? @vu@granby Gilles Martineau: Some of them! Thanks Gilles. A very interesting image that gives us a glimpse of life. Why did I think of the world Bankers pondering over the credit crisis...... I'm sure this bunch are more successful with their board game ! A good candid shot. what an insight, and through the window makes it seem almost covert. So many difference classes too. Very interesting lifestyle image. Excellent street image showing a piece of the culture. Whatever the game is it seems really popular. Great image. Quite a nice fascinating cultural shot. Well done Daryl! Very interesting shot well done in b&w. @Japanalia: I guess so Gabriela! Lots of interesting characters there.